Why buy Hemlock trim to match your original Douglas Fir when you can buy the real thing?! 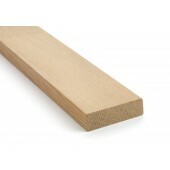 We carry a large collection of CVG Douglas Fir Trim and mouldings. Don't see it here? Give us a ring at 877-661-6109 and we'll be happy to help you. If you have questions, feel free to give us a call or visit our frequently asked questions page. AltruFir ships its products nationally. 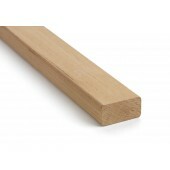 1" x 2" CVG Douglas Fir trim is commonly used for window and door trim and casework. Actual dimensions measure 3/4" x 1 1/2". This product is sold both random length (6' - 12' in increments of 50 lineal feet after minimum 100LF order) or by the piece. Minimum order 100LF. For pricing on longer length material, please give us a call. 1" x 3" CVG Douglas Fir trim is a versatile product commonly used for window and door trim and casework. Actual dimensions measure 3/4" x 2 1/2". This product is sold both random length (6' - 12' in increments of 50 lineal feet after initial 100LF order) or by the piece. Minimum order 100LF. For pricing on longer length material, please give us a call. 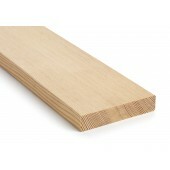 1" x 4" CVG Douglas Fir Trim is a common side for trim, baseboard, and door and window casing. Actual dimensions measure 3/4" x 3 1/2". Minimum order 100LF. 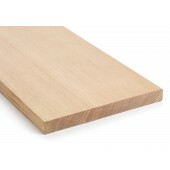 1" x 5" CVG Douglas Fir Trim is commonly used for molding, casework, doors and widnows. Actual dimensions measure 3/4" x 4 1/2". Minimum order 100LF. 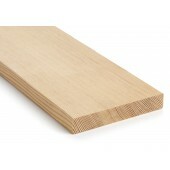 1" x 6" CVG Douglas Fir Trim is commonly used for baseboards, trim, doors, and windows. Actual dimensions are 3/4" x 5 1/2". Minimum order 100LF. Each week we share interesting tips, tricks, and news, all related to Doug Fir Flooring. Check back for more updates or Subscribe to our RSS Feed.